A robust stanchion manufactured from heavy gauge steel with a cast iron base providing excellent durability. 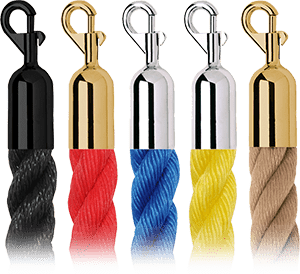 An affordable option for creating a traditional rope barrier. 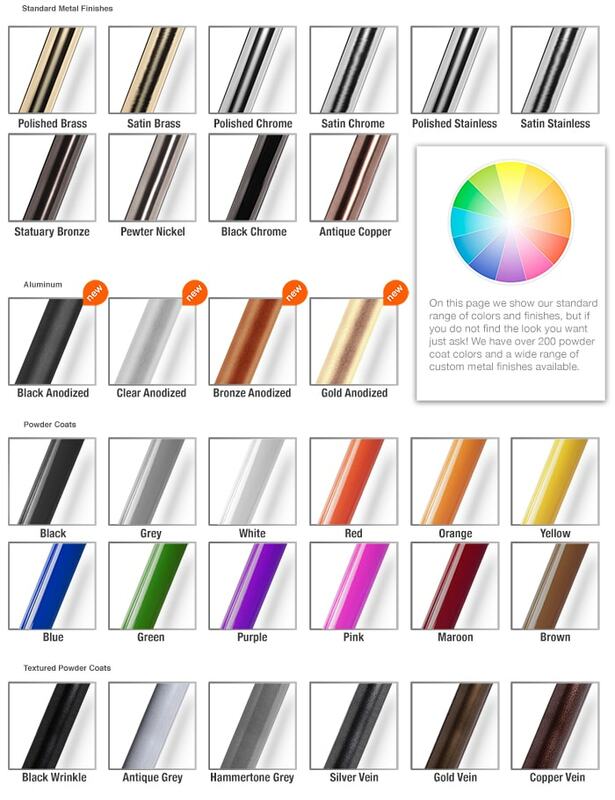 Polypropylene is strong, lightweight, UV resistant and can be stored wet making this rope ideal for outdoor use. This rope has a tight weave and we heat seal the ends to eliminate fraying. Rope Barriers feature the best floor protection in their class. 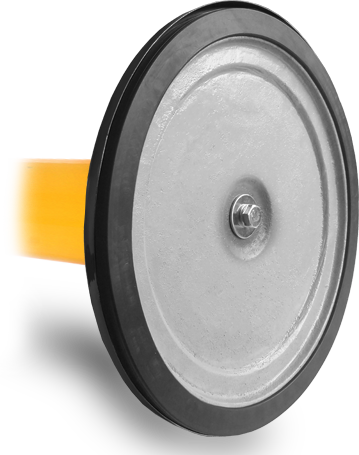 The heavy-duty rubber ring provides full contact floor protection around the circumference of the base and will last the life of the barrier. Height : 39" Height : 39"
Post OD : 2" Post OD : 2"
Base OD : 14" Base OD : 14"